In a recent deployment, there came a request for client side call blocking. 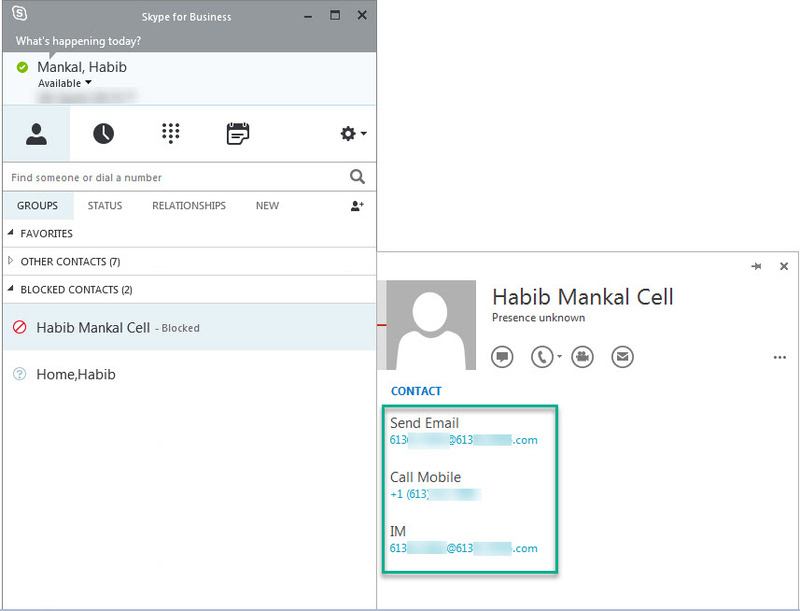 After some searches I came up with there is an MSPL script that allows for server side call blocking and this is global not on a per user basis, so I began playing around with outlook contacts and Skype for Business and I’ve found that you can call block on a per user basis see below on how it’s done. 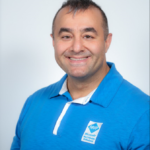 When adding an Outlook contact with a name and phone number to be blocked, and then adding that Contact as a Skype for Business contact we cannot see the “Change Privacy Relationship” option when you right-click the contact in Skype for Business. 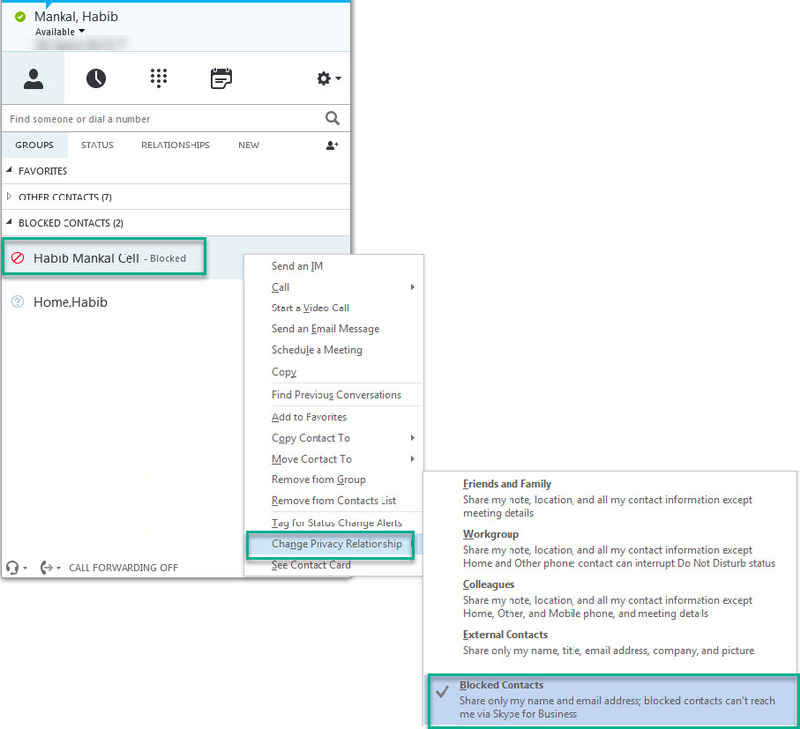 Below is an example of a contact that is added in Outlook with the phone number to block and then that contact is added in Skype for Business, however we do not have the “Change Privacy Relationship” option when the contact is right-clicked. What I found was that the only way to display the “Change Privacy Relationship” option is to add an Email/IM Address to the Outlook contact. 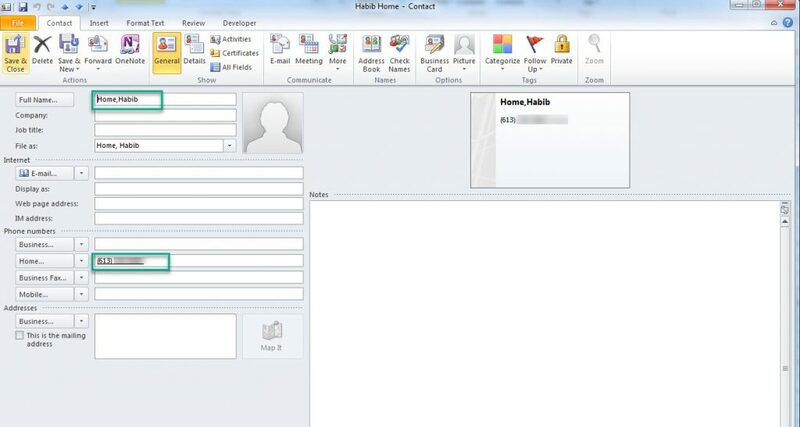 As you can see below after adding and saving the Email address to the Outlook contact and waiting for synchronization to happen between Outlook and Skype for Business and then adding that Contact as a Skype for Business contact. 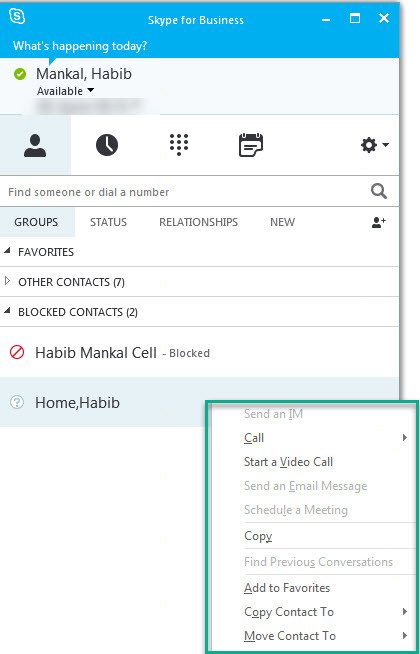 We are now able to right-click on the contact and the of a contact and see the “Change Privacy Relationship” option, now we can select “Blocked Contacts” from the options and this will block incoming calls from ringing from this number. 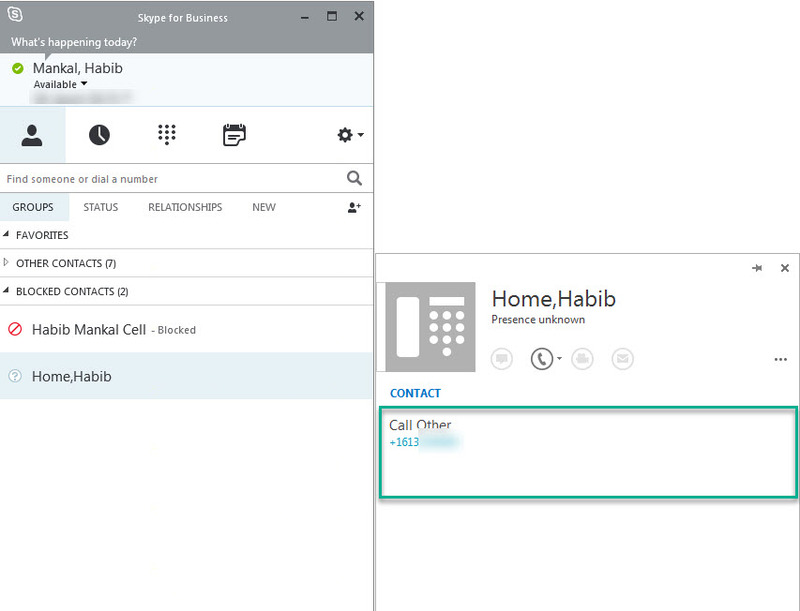 NOTE: When the caller tries to contact this user, the call will go directly to voicemail (if Exchange Unified Messaging is setup and configured for this user) and also provide a missed call notification if they do not leave a voicemail. Hope this helps someone requiring this functionality.